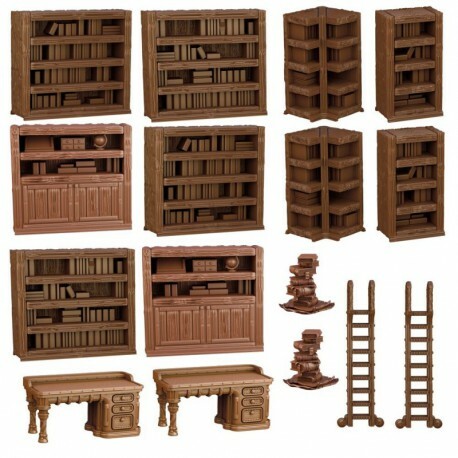 This set contains 16 pieces to furnish a dungeon or castle interior. The scale is 28-30mm, making them perfect for many fantasy and historical games. 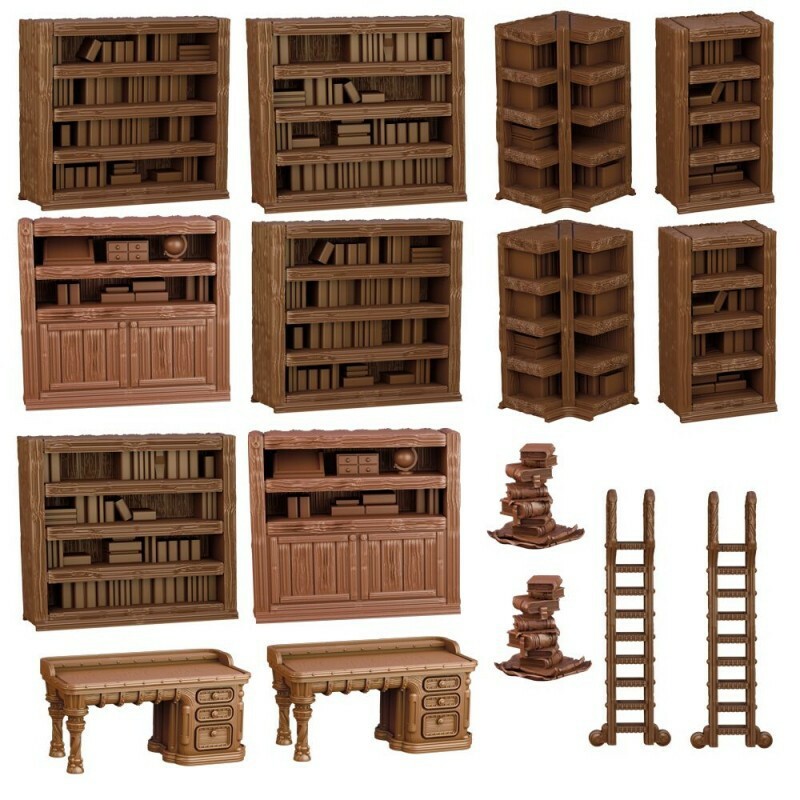 The pieces are cast in high quality plastic and are preassembled, ready to play straight out of the box.